If you want the truth about these pudding cups it goes a little bit like this: Over the weekend we stayed home and watched an eight hour church conference called General Conference. I'm sure you saw friends all over social media using the hashtag #LDSConf, and that's why. If you ever tried watching eight hours of church with a one-year-old and a three-year-old you probably know where this is going. Saturday afternoon during the first session Jay decided that it was a good time at the age of three and two months to figure out how to climb out of his crib and nap times are officially over in this house. If you have a toddler who doesn't nap anymore, then you know the tantrums and illogical thinking that comes from a small person not getting their nap. So we dealt with that all day Saturday, and then he slept great Saturday night. Sunday it was the same thing, but his attitude was terrible all the day long. At some point in the afternoon I remembered that I had to make this post for today so I got everything out to do it, and then all heck broke out in our house. The internet went out while Derek was trying to get General Conference to work on our computer, and Jay had hit the cranky wall and was getting into everything for this post. I found great therapy when it was time to crush the sandwich cookies with the rolling pin and really went to town on that because as a mother you never want to hit your children, but when you're tired and cranky and you get to go to town with a rolling pin on a bag of sandwich cookies? Best three minutes ever. Anyways, onto the pudding cups. since I made similar Snack Pack pudding cups like this for Easter, I thought it would be fun to try my hand at Halloween. My original plan was to make a pumpkin patch and dip sandwich cookies cookies into orange candy melts and then draw the face onto the candy melts for the jack-o-lantern with an edible marker, but then the edible marker wouldn't write on the candy melts... and every marker in our house wouldn't write on the candy melts. Luckily I found these Halloween themed candies last week when I was at Meijer so they were the perfect thing to swap out the sandwich cookie pumpkins for. Snack Pack comes in a variety of flavors and offers endless mix-in opportunities that the kids can help prepare. Each serving of Snack Pack is fortified with as much calcium as an 8-oz glass of milk, so you can feel good about serving your kids Snack Pack. For mix-in inspiration, visit Snack Pack on Pinterest and Facebook. 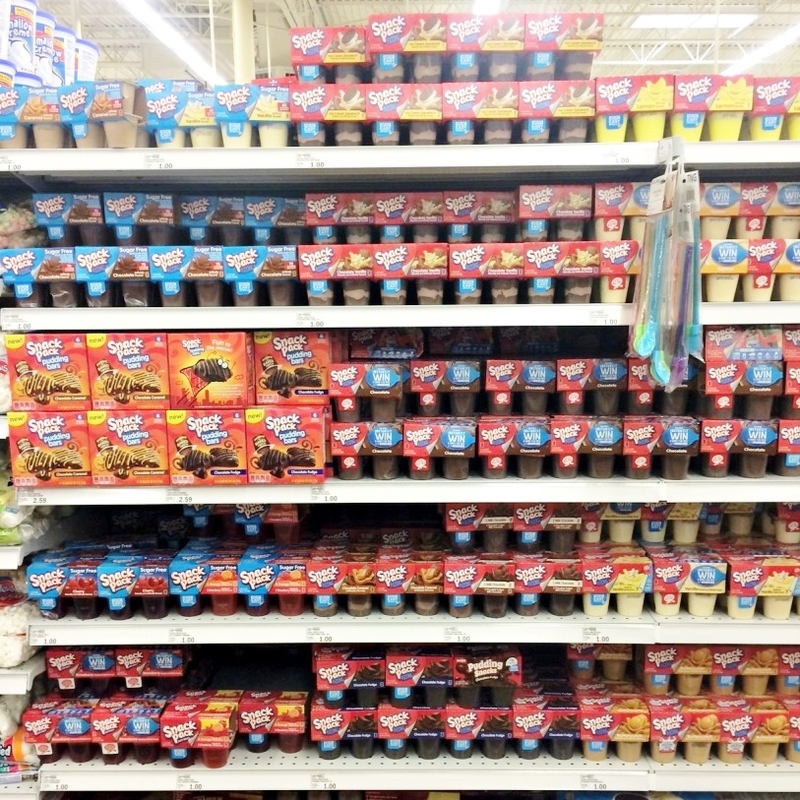 Right now at Meijer through 10/31 when you use your mperks coupon you can save $1 off when you purchase four 4-packs of snack pack pudding. (More details here) We'll be heading to Bowling Green store location in Tennessee this weekend for a family trip we're taking and are excited about the Ready For You demos that will be going on in store from 12-6pm! Crush the chocolate sandwich cookies in a resealable baggie with a rolling pin. Distribute the cookie crumbs into each pudding cup, and then top with desired Halloween candies! What are your favorite things to mix into your Snack Pack pudding? I'd love to hear in the comments below!